A Minnesota teen received a big honor Wednesday morning when he was named the country's 2 millionth Eagle Scout. Anthony Thomas, 16, of Lakeville, received the recognition in front of a packed audience at the Old Fort Snelling Cavalry Hall in St. Paul. About 150 people attended the recognition, including Thomas' mother, father and sister. "Being an Eagle Scout is definitely a position that I'll remember throughout my life," Thomas told the audience. "Now that I hold the position as 2 millionth, I can use my skills and try to inspire younger scouts everywhere." At the ceremony, Thomas also helped break ground on a multimillion-dollar project to transform historic Fort Snelling into a "Base Camp" -- a six-acre urban scouting camp that will feature rope courses, rock-climbing walls and an environmental learning center. 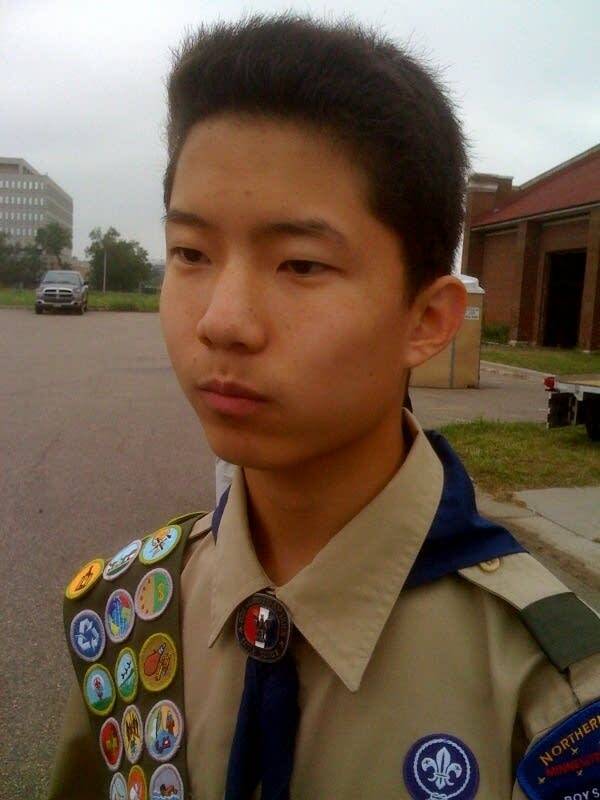 Thomas belongs to the Northern Star Council of the Boy Scouts of America. As the 2 millionth Eagle Scout, he will serve as a youth ambassador for scouting at national events, open trading at the New York Stock Exchange and attend the National Jamboree. "I am very honored ... and will do all I can to serve and inspire young scouts and people in general," Thomas said. In addition to many other requirements, an Eagle Scout must have organized and executed a community service project. The 1 millionth Eagle Scout was named in 1982. The badge has been awarded since 1912.